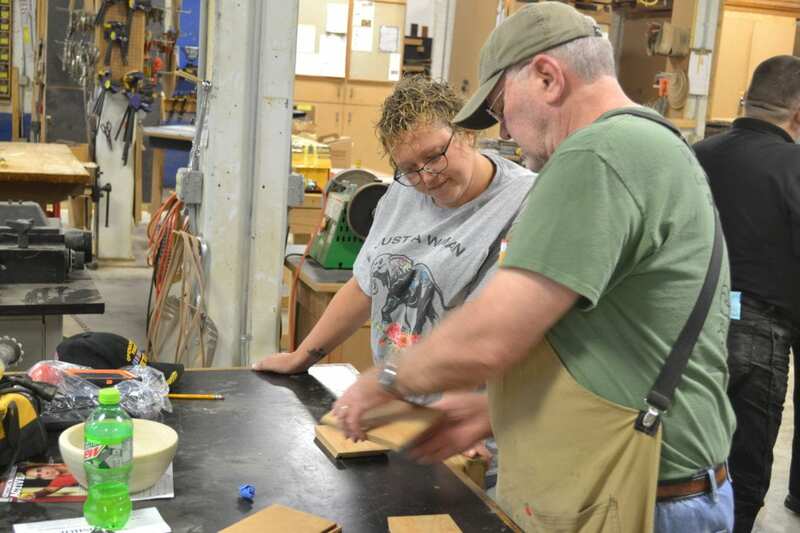 DEREK DANNEKER/Sun-Gazette Correspondent John Meyer, right, co-manager of The Williamsport Community Woodshop, instructs Jessica Morgan, who is making a cigar box. “It’s just tough finding them. 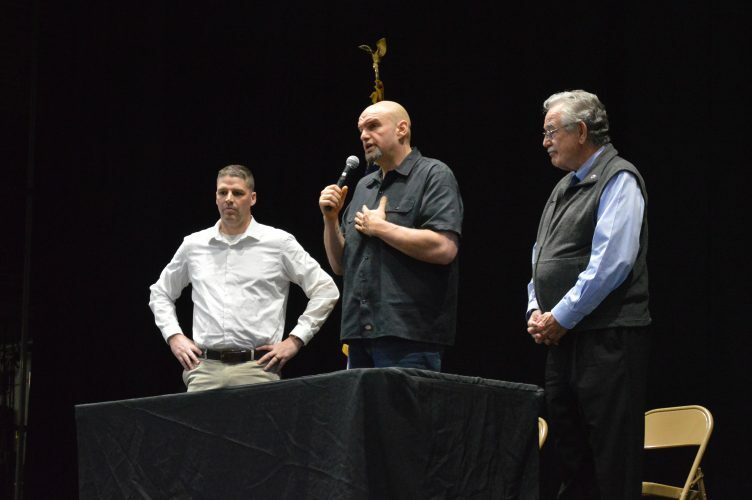 These guys who were in these last couple of wars are, you know, a lot of them were young when they went in, and a lot of them got really messed up,” Higgins said. Higgins, who has been working with Ariana Evans, outreach coordinator for Wounded Warrior Project, said the program, which started a year ago, has been successful. Veterans can work on their patience, diligence and find a new sense of pride in what they create, according to Evans. Ultimately they are working to find a new focus. John Meyer has been helping to manage the community woodshop, which is associated with Factory Works, a non-profit organization, since it opened for membership in 2013. The organization also operates a clay and photography studio, art gallery and bicycle recycling shop. Today, the community woodshop has been open a little over five years and has 50 members. A veteran himself, Meyers said the woodshop works to bring in other veterans, who can often struggle to refocus their lives without the structure and military community in which they were once so heavily involved. “The other thing about woodworking is that it can be therapeutic,” Meyers said. Meyers noted many veterans he sees have been through traumatic situations. Meyers said the advantage of having a woodshop open to all is having others with whom you can visit, share ideas and build a community. It would not be possible without generous donations from locals and others from Black and Decker, Stanley and DeWalt. “These guys are great to me. They taught me a lot in here and right now I’m making stools for my great-grandchildren. I’m well blessed with health that I can do this at 97-years-old,” Don Koons, a WWII veteran who flew missions as a ball-turret gunner in a B-17 Bomber, said. Jessica Morgan, who served eight years in the Army including tours in Iraq, said she loves to come to these events because it gives her a sense of comradery. Wounded Warrior Project also offers many other mental health resources through four hospitals that offer extensive outpatient care. They also offer events such as whitewater rafting, zip-lining through Project Odyssey.